My two favorite soft-plastic baits to flip are the Strike King Rodent and Rage Bug. These two baits have similar body styles and sizes. But what makes the Rodent and the Rage Bug different is that the Rodent is basically a do-nothing lure with appendages that don’t swim, which gives the bait a natural, no-action type of fall. When bass aren’t aggressive – for instance any time the water’s cold – that’s when I flip the Rodent. 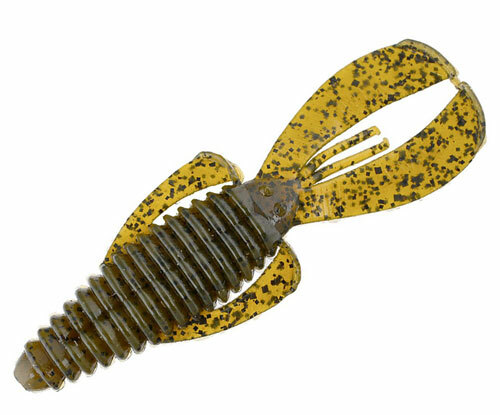 If the bass are aggressive or are suspended, then I’ll choose the Rage Bug, a soft plastic with four appendages and a cool swimming action. Water color determines the color of plastic I select to fish. In dark water, I like black hues for both the Rage Bug and the Rodent - like the California Craw, black neon or black-and-blue. When the water is green, I prefer to fish green colors like watermelon red and Double Header. I like for my baits to not stand out in the water but instead prefer to fish more natural-looking baits. The more natural the color of your soft-plastic lure, the more bites you’ll get. Bass are opportunistic feeders. Actually, sometimes bass will want a radical, bright color of lure. However, I’ve learned to get the most strikes, you need to use the color of lure that’s most like the bait the bass are feeding on during the day you’re fishing. Your bass bait needs to look natural or almost camouflaged, since that’s the color for which the bass are searching. Bass realize that the baits they’re hunting are attempting to hide from them to keep the bass from spotting and eating them. That’s why you don’t see goldfish in lakes and rivers because that bright orange color will stand out and make them an easy prey for the bass. 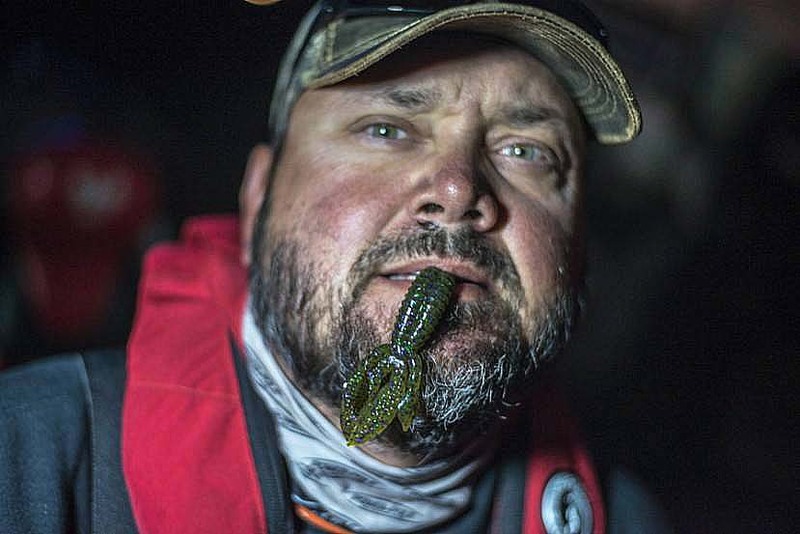 When you’re not catching bass or are fishing a tournament and having a hard time getting a bite, choose one of these soft plastics to flip into heavy cover. That’s what I do, and this technique has helped me put bass in my boat when I’ve needed to catch bass. For more information about Greg Hackney, check out https://www.facebook.com/greghackneyfishing/. One of the biggest problems that bass fishermen face, and one that I have to face regularly, is what do you do when you lose a big bass? Brandon Palaniuk shares his tactics for trying to get that fish back on. Of all the dangers we face in the outdoors, there are few that instill more pure dread and abject fear than the limbless serpents. Fortunately, the odds of encountering one are as slim as the reptiles themselves, and the chances of being bitten are slimmer still. However, it’s always a good idea to hedge your bets by becoming more familiar with snakes, learning how to avoid them and what to do should the unthinkable happen.